When Can a Mobile Ambulance Ride Lead to Charges for Medicare Fraud? Emergency medical services (EMS) providers serve a critical role in our health care system. However, like all health care providers that bill Medicare for their services, they are subject to strict billing rules and regulations, and failure to adhere to these rules and regulations – as interpreted by the Centers for Medicare and Medicaid Services (CMS) – can lead to charges for federal fraud. One of the greatest areas of risk for EMS providers is mobile ambulance transportation. While it may seem prudent to err on the side of caution and take patients to the hospital whenever it appears that medical treatment may be necessary beyond that which can be provided by emergency medical technicians (EMTs), unfortunately – and somewhat paradoxically – this approach can get EMS providers into trouble with CMS. Not only can improperly billing Medicare for mobile ambulance transportation services result in the claim being denied, but it can also lead to charges under the False Claims Act and the federal health care fraud statute for attempting to “defraud” Medicare. The EMS provider satisfies all CMS requirements for mobile ambulance services. As a general rule, in order to be eligible for Medicare reimbursement, mobile ambulance transportation services must be medically necessary as determined by CMS. This means that use of an ambulance is the only safe way to transport a patient. Typically, this requires that: (i) the patient potentially be at serious risk of medical danger, and (ii) no safe alternative means of transportation are available. Of course, EMTs are not doctors, and ambulances are not designed or equipped to fully diagnose patients’ medical needs. As a result, it is entirely possible (and not at all uncommon) for an EMT to incorrectly assess a patient’s needs – particularly if the patient provides inaccurate or incomplete information about his or her condition. Next, the facility to which the patient is transported must be fully compliant with all Medicare coverage guidelines. As a result, even if mobile ambulance transportation is medically necessary, and even if the patient needs Medicare-eligible treatment, the transportation services still will not be eligible for reimbursement if the services are rendered at a non-compliant facility. Of course, the Medicare eligibility requirements for medical facilities are extraordinarily complex; and, even when an independent EMS provider has a working relationship with a hospital or other facility, that provider still may not be privy to whether the facility is (and remains) Medicare-compliant. Finally, in addition to each of the above requirements, EMS providers must ensure that their ambulances are Medicare-compliant as well. 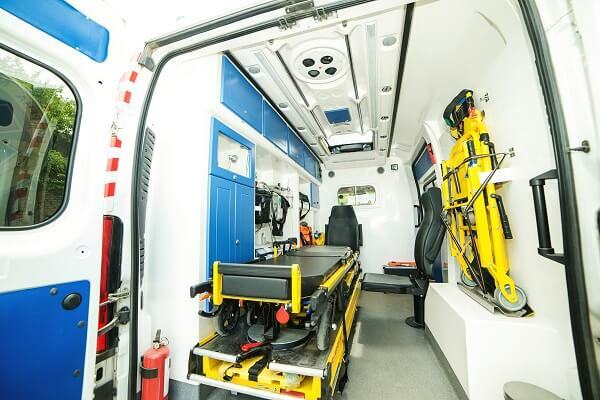 If an ambulance is considered to be deficient in any respect, then any transportation services provided with the ambulance will be ineligible for Medicare reimbursement. The best way for EMS providers to avoid mobile ambulance fraud allegations is to implement and maintain comprehensive compliance programs. From contracting with medical facilities to upfitting compliant ambulances and training EMTs on Medicare’s guidelines for medical necessity, there are numerous steps that EMS providers must take in order to mitigate their risk of federal Medicare fraud investigations. Of course, if your business is already under investigation, then you need to shift your focus to preventing the investigation from resulting in federal charges. This involves intervening in the investigation, conducting an internal audit, proactively addressing any compliance issues, and working with federal prosecutors to achieve a favorable resolution. Speak with a Medicare Fraud Defense Lawyer at Oberheiden, P.C. At Oberheiden, P.C. we provide comprehensive compliance and defense representation for EMS providers in all Medicare-related matters. If you have questions or need help and would like to speak with an attorney, you can call (888) 519-4897 or contact us online for a free and confidential consultation.